.to give a high-level overview of your charges. The Camper Transaction Summary is available in the Camper Reports section of the Financial Dashboard. 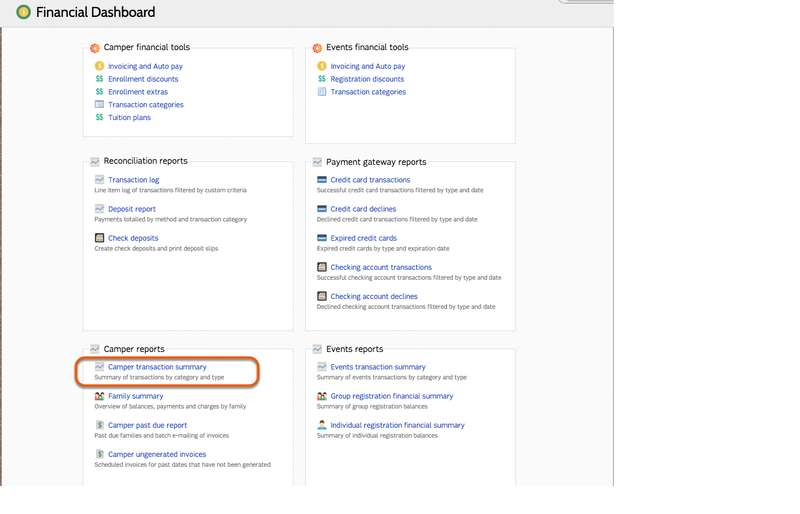 Enter a date range for the transaction summary. Leaving this section blank will include all dates in the months selected. 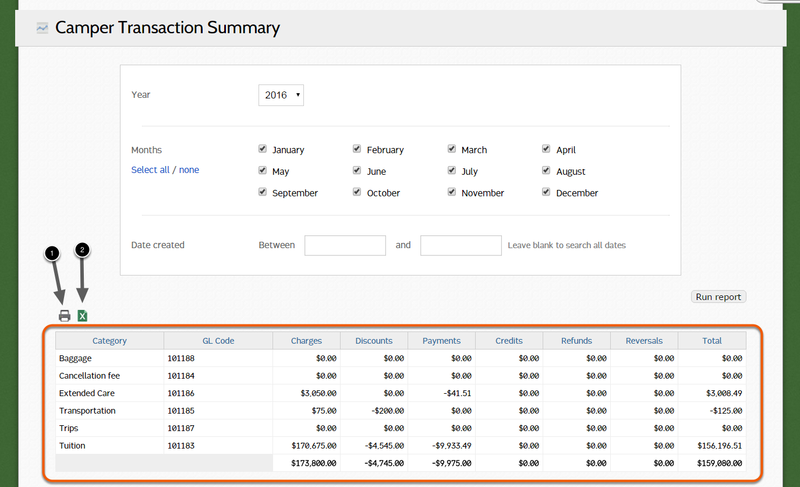 The Transaction Summary will display based on the criteria selected.